When it comes to flooring, there is a long list of choices to consider. Often, when looking at various kinds of flooring, the most important decision maker is whatever saves money in the long run. Most home or business owners are trying to answer one specific question: which flooring will last the longest? It is easy to become overwhelmed when deciding on a new kind of flooring for your home or business. There are several things to think about: spills, scratches, scraping, furniture impact, water damage, and the list goes on. Plenty of flooring styles are out there. And you may feel plenty of pressure to choose just the right one. Keep reading; we have some ideas for you! Ceramic tiles are hard to crack, adding to their durability points. Glazed ceramic flooring is water resistant and, therefore, easily cleaned after liquid spills. In addition to liquid, dirt and stains can be removed from ceramic tile flooring without too much effort. Because of its durability, ceramic tiles can add to the long-term value of your home or business. One disadvantage of tile flooring is that it is a little uncomfortable given its hard texture. Laminate floors are quite popular and rightfully so. Installing this flooring is a rather quick process as they can be easily cut to shape and usually fit together like a jigsaw. It is much more comfortable for standing because of its softer underlayment. Laminate is fairly easy to maintain. You can use a vacuum or simply sweep the floors. Liquid, stains, and dirt can also be easily removed with a mop and waxing the floor isn’t necessary. Unfortunately, laminate isn’t as resistant to water are ceramic and liquid can more easily seep underneath the surface. So, any spills would need to be cleaned up immediately. Excessive water damage would probably result in having to replace the flooring altogether. This type of flooring is a good option for business as it offers a commercial yet comfortable appearance. They’re fire resistant, waterproof, and scratches are not even visible due to the pattern of the cork. On the other hand, there are a few cons to cork flooring. In order to maintain the waterproof quality, the floors must be resealed every 5 years. Also, the cork can be pierced by sharp objects and dented by heavy furniture if extra protection isn’t added between the floor and furnishing. No doubt, marble flooring is absolutely beautiful and instantly transforms the way a room looks. Its known to be very durable. It will last quite a while if it is properly maintained. However, that leads us to the main disadvantage of this flooring choice. Of all of the kinds of flooring we’ve named, marble tile is probably the most high maintenance. It becomes stained so you need to remove spills right away. Marble tile can also be scratched easily. You should think about furniture and other things that could scratch the flooring surface when considering the installation of marble flooring. It may not be the best choice if you plan to rearrange your living room setting often. Here at Dust Busters Floor Removal, your flooring is our business. Should you decide to remove the flooring you currently have and replace it with a more damage resistant flooring, Dust Busters can help! We’ll remove that old carpeting or damaged wood and pave the way to a better floors in your business or home. Dust Busters Floor Removal works on your clock and we do our job quickly and correctly so you can speedily move on to your installation process. It is our goal to see you happy with your flooring, and removing the current floors is the first step. Let us take care of that for you! Contact us today at service@dustbustersfl.com or 866-883-8783. 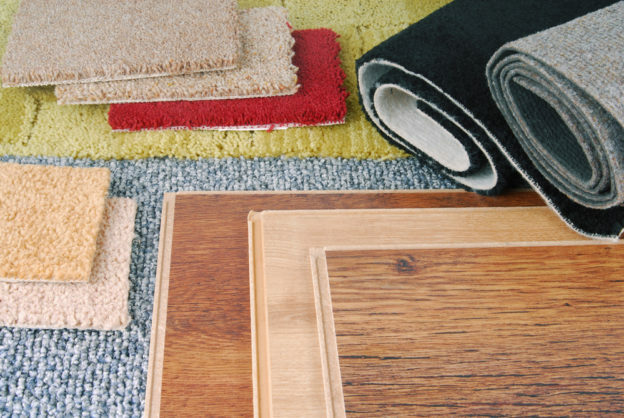 It would be our pleasure to set you on the right path to newer and better flooring!